Need to get rid of Mice and Rats? Even though they look similar, rats and mice are of different species; it’s like comparing humans to orangutans. Rats are bigger than mice. There’s the story of “cat-sized rats” in New York City which, fortunately, isn’t true! The rats found in homes and businesses, which are typically Norway rats, can grow up to 12-18 inches in length (including their tail). Mice are much smaller, and are often mistaken for young rats. Even if the bodies are the same size, a mouse will have a smaller head and feet than a rat. 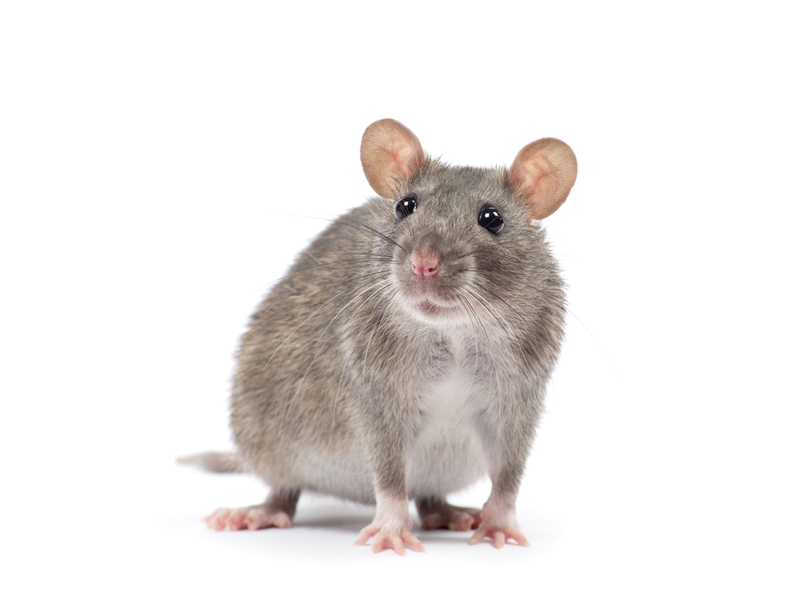 Mice are great for eliminating insects and certain outdoor pests, rats are great for eliminating mice. Both are great for their contributions to the science world. But neither are good for your home or business. Mice and rat defecate and urinate quite often. A mouse could leave up to 6,000 droppings in a six-month period! It’s actually so common that government regulations tolerate small amounts in food, as it’s so impossible to keep out. Their droppings are bad news, though. Just touching the droppings can lead to disease. What’s worse is that harmful viruses in the droppings can be stirred into the air and cause serious airborne diseases. A huge misconception is about rabies – rats and mice do not carry rabies. They can still pass many diseases through bites. Most will not attack humans, unless they are provoked or cornered (which is true of most animals). Even still, both rats and mice carry a wide range of harmful diseases that can be spread just from their scurrying across a surface, like tapeworms, Salmonella, Meningitis (to name a few). Their chewing habits also pose a major problem – given their tendency to gnaw through electrical equipment and wires, they’ve been known to cause house fires. The most obvious way to detect an infestation is sighting a rodent. People hardly notice the nests until the population gets so high that the weaker rats or mice are forced out. That’s the easy way. Rats are also known to make a bit of a racket. They’re highly social and territorial creatures; this is why you’ll hear them fighting and scrambling between floors or walls. Most people detect infestations from droppings. Rat droppings are a bit larger and are shaped like bananas; a mouse’s droppings are much smaller, like grains of rice. If you see droppings, you’ll want to remove them without risk to your health: spray the area with a bit of bleach and water, use gloves to dispose the droppings, then disinfect the area. Rats and mice colonize in a home or building for warmth and food. So, the two ways to prevent an infestation: eliminate entryways and cut off the food supply. Take a look at your pinky finger. That top portion is about all the space a rat or mouse needs to enter a house. What you’ll have to do is examine the exterior of your home or business and find every crevasse—which includes walls, floors and the home’s foundation—and use a type of sealant to prevent entry. It also helps to eliminate shrubbery that’s within 3’ of the building. Rodents have outstanding climbing and jumping abilities, and often use tree limbs to gain access. You will need to make sure all food is tightly sealed within your kitchen. They can chew through boxes, so you’ll want to use sealed plastic or metal containers. Also ensure your trash receptacles are well-sealed, preferably with tight-fitting lids and heavy plastic coating. Constantly clean your kitchen and eating areas, making sure crumbs aren’t left out. Once the food supply is cut off, you better your chances of forcing them into traps. Now, mice are a bit easier to trap than rats. Mice are more curious, and more prone to check out a trap. Rats are more cautious, and could take a longer time to get ensnared. It’s best to place the traps near walls, as rodents don’t like open spaces. As for bait, peanut butter has been known to be effective. Be sure to use a small amount (about the size of a pea), as a large amount is easy to be picked at without setting off the trap. We recommend using gloves, as the scent from your hands could repel the rats and mice. If you are able to eliminate rats and mice yourself, then good on you! However, if the preceding tips don’t work, or you see more rodents and droppings than before, you’ll want to bring in some professionals. The trick is – frequent sightings imply a nest has been established, and that’s difficult for most people to find, let alone deal with. If you’ve spotted one (or many), please give our office a call so we can rid your home of this nuisance.